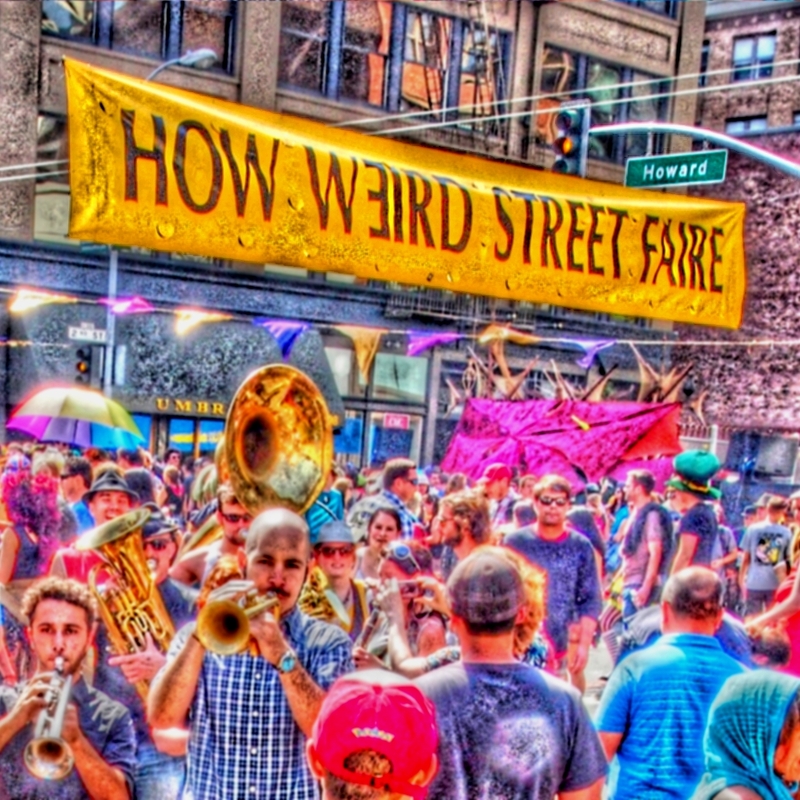 The How Weird Street Faire wants to thank all of the DJ’s, musicians, artists, and performers at Weirdi Gras that shared their awesome array of talent with us. Thanks to all of the people who came out to dance and celebrate creativity in the streets. Thanks to the extremely diverse people of San Francisco, who are able to find common ground through music and art, and have a lot of fun doing so. Thanks to the wonderful Yerba Buena neighborhood, and all of our neighbors, who welcomed us back to the heart of the city. Thanks to all the How Weird krewe for making street faire history. And thanks to Mother Nature for gracing us once again with a beautiful day. Join us on Sunday April 28th as we usher in the San Francisco festival season with dancing, costumes, parades, marching bands, and more at the greatest street faire in the galaxy. 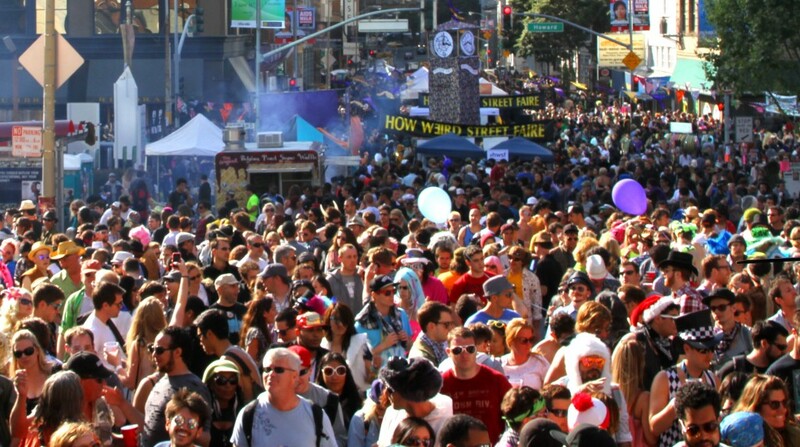 The How Weird Street Faire is a world-class music festival, featuring a wide range of electronic dance music. There will be 10 stages of great music, art, and sound systems from Symbiosis, Muti Music, Groove Garden, Enchanted Forest, Opel, Opulent Temple, World Famous Productions, Basscraft Soundsystem, Urge Productions, Pink Mammoth, SF House Music, Temple Nightclub, SWAG, Pulse SF, Space Shaping, PK Sound, The Boombox Affair, Party Babas, Red Marines, Psycircle, Happy Camp, and more. The How Weird Street Faire is participating in National Dance Week this year. As a part of the festivities, there will be a special flash mob led by Barry Youngblood at the brand new Marching Band Stage next to the center intersection. It starts at 4pm. a collectible Weirdi Gras beaded necklace for only $10. 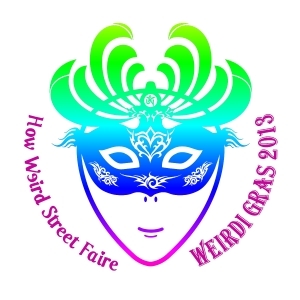 To celebrate Weirdi Gras, there will be 5 great marching bands at the faire, including Blue Bone Express, Loyd Family Players, North Beach Brass Band, TrashKan Marchink Band, and Fanfare Zambaleta. They will be parading throughout the day and performing at the Marching Band Stage. Join them as they travel the realms of How Weird, and engage in next level weirdness. to talk about the How Weird Street Faire.